Tom jenks and others are performing at this exciting looking event. Follow the link to book tickets. 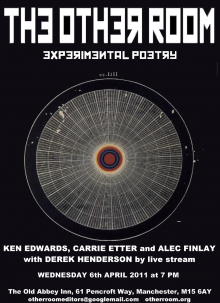 Manchester Literature Festival is delighted to be working with the Hamilton Project and Bury Text Festival on Station Stories – a unique site specific live literature promenade event using digital technology and live improvised electronic sound. From platform to platform, café to café and shop to shop, six writers (Jenn Ashworth, Tom Fletcher, David Gaffney, Tom Jenks, Nicholas Royle and Peter Wild) take you on a creative trip of Piccadilly station and read specially commissioned stories inspired by the station and the people who use it and work there. Audiences are linked to the writers’ microphones by headsets using wireless technology, ensuring they hear every single word, whilst still experiencing the live ambience of the location. Take a journey into this marginal, in-between world, where anything can happen and often does. Out now from if p then q. £8. What is surely destined to become a classic. Ted Berrigan’s seminal The Sonnets is renowned for its famous use of cut up technique and reconfiguration throughout the sequence. 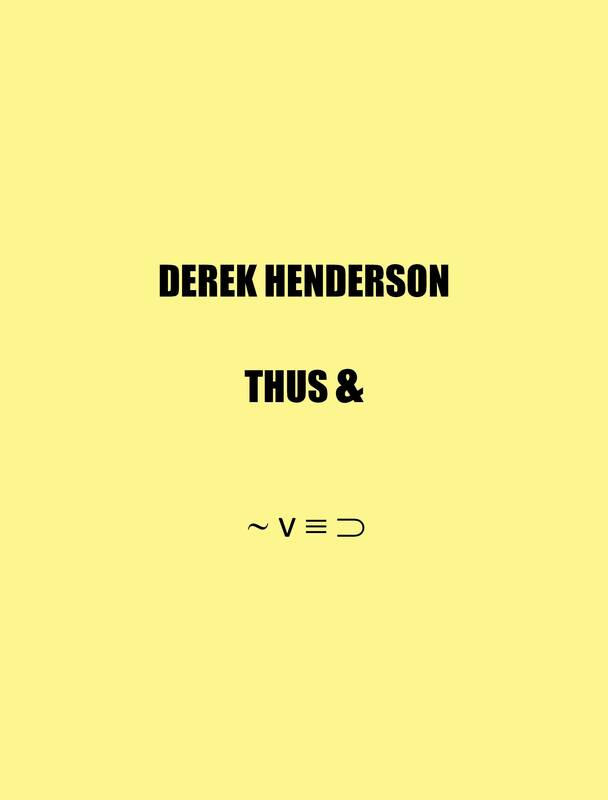 Derek Henderson’s erasure Thus & eliminates all words and typographical duplications. In addition to the strikingly beautiful, often minimalist, sonnets created by Henderson, Thus & asks new questions of each Berrigan sonnet and the sequence as a whole. Thus & reveals (conceals) not only the clusters of phrases/lines that were cloned by Berrigan but also words which he repeated; many obviously subconsciously. What is left in Thus & is part skeleton, and underbelly, of maître-sonneteer Berrigan’s The Sonnets and part alien remix by techno-magician Derek Henderson. Derek Henderson lives with his wife and kids in Salt Lake City, Utah, where he teaches writing and literature at Utah Valley University. He is author, with Derek Pollard, of Inconsequentia(Blazevox). His poems have been published in Fence, Black Warrior Review, VOLT, Colorado Review, Bombay Gin, and elsewhere. A unique evening of exchange and collaboration between six of the finest poets in Europe communicating the rare command of their poetry, highlighting their shared engagement along with their own distinctive understanding of what is poetic.